Your Monday afternoon comes with some good news … and some damn good cherry pie. David Lynch's seminal television series Twin Peaks is returning to television in early 2016 on Showtime in limited series format. 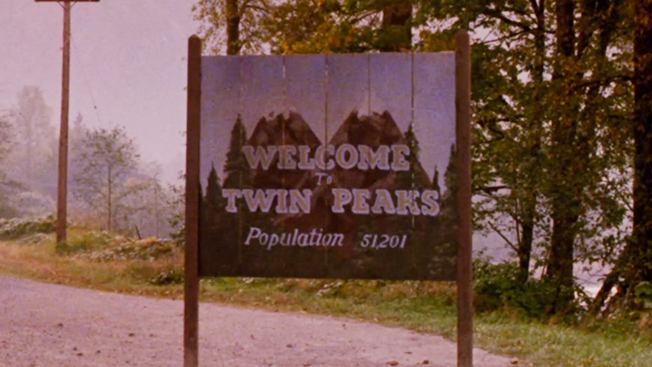 Lynch will direct all nine episodes, and he and series co-creator Mark Frost will write them. It's a return to his roots for Lynch, who in the last few years has done pretty much anything except make another movie; the director shot 2006's Inland Empire entirely on videotape. The announcement of the Showtime project came this morning, and there's a fun, creepy promo to go with it. Twin Peaks: Fire Walk With Me follows Laura Palmer through her last seven days alive and brings back the show's bizarre, hugely influential aesthetic in all its backward-talking, non-sequitur-spouting glory. It also makes it a little clearer what exactly happened to Kyle McLachlan's character at the end of the show, which is a lot to recommend it; just maybe not enough to make it a successful feature film. The movie premiered at the Cannes Film Festival in 1992 where it was booed. It also didn't do very well domestically at the box office. Total gross was $4.8 million—and its competition was Pet Semetary Two and Honeymoon in Vegas—probably because you had to watch the show to know what on earth was going on. Still, if you had watched the show, you learned a lot you'd always wondered about. In 1993, post-Peaks and post-Fire Walk With Me, Lynch returned to advertising briefly to make a series of Japanese coffee ads for Georgia coffee. They riff on the show's imagery and surrealism, star MacLachlan and pay tribute to the ads' viewership, who are also the only people in the world who seem to have liked Fire Walk With Me when it came out (the movie did disproportionately well in Japan). When Bravo bought the off-network rights to rerun Twin Peaks in 1993, Lynch figured things needed a little more thorough explanation. So, he wrote and directed introductions to each episode. You can see them above. They clear up pretty much everything. The Log Lady is a source of great fascination to Peaks fans—there's even a music video directed in Peaksian style (though not by Lynch) with actress Catherine E. Coulson reprising the role. The Psych episode Dual Spires paid overt homage to the show (as opposed to merely ripping it off, as many have done since the series aired) with this episode, which featured guest appearances from Sherilyn Fenn, Dana Ashbrook, Robyn Lively, Lenny Von Dohlen, Sheryl Lee (Laura Palmer herself), Ray Wise, Scott Lyster, Ryan McDonald and Catherine E. Coulson as Woman With Wood. It's better as an idea than as an hour of television, frankly, but plenty of viewers had fun finding the Easter eggs.